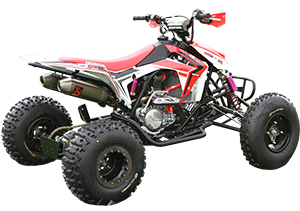 Are you looking for a competition ready quad/ATV, there is good news; you have found it with the CRQF quad/ATV. 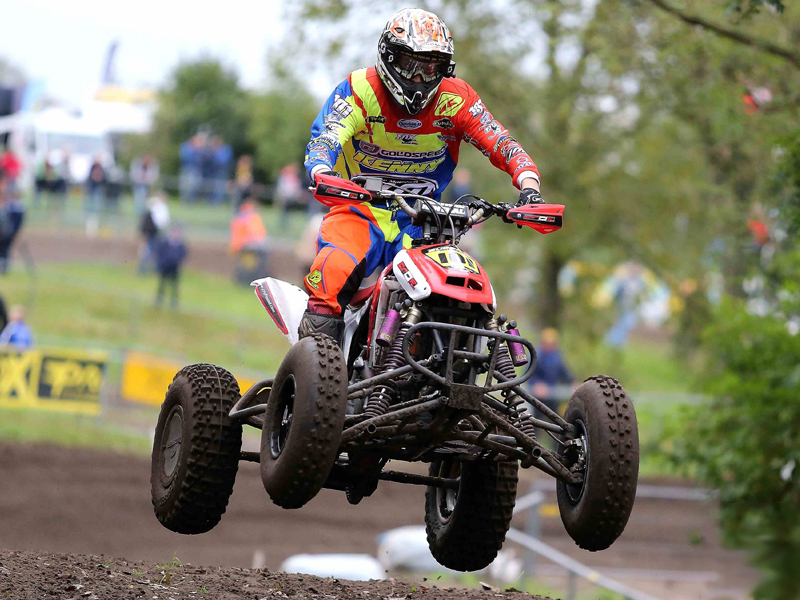 This Dutch built quad/ATV is race ready built for competition MX racing. The CRQF is built with the use of the best materials and parts available on the market as; Honda CRF and TRX, Goldspeed, Roll Design,Dominator, Renthal etc. The chassis is built by CRQF in our factory. The use of the best materials as Chrome Moly tube results in a strong, ergonomic and extremely light chassis. Superior handling and the new 2015 Honda CRF 450R engine make it a winning bike on the track. Designer and builder of the CRQF Gerben Vruggink has gathered experience with buggies and quads/ATV’s in the hardest rally in the world; Dakar. 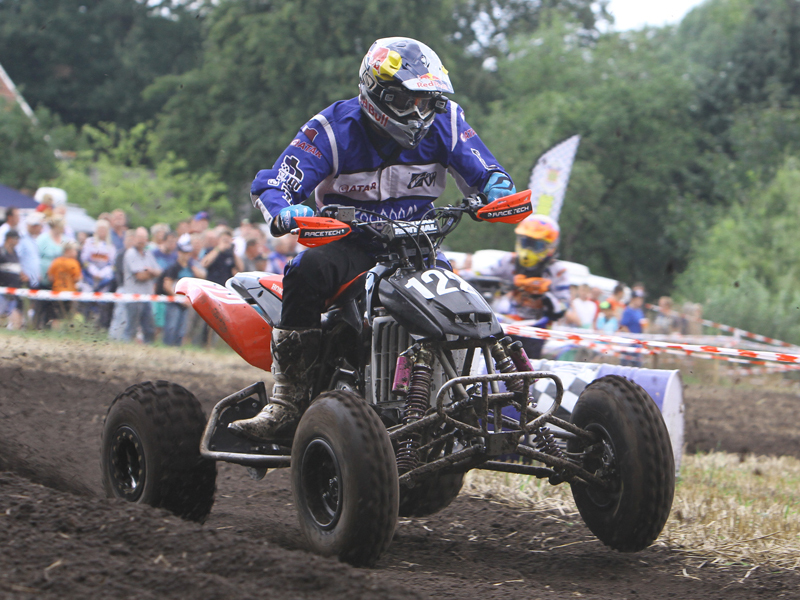 The input of a few of the best quad riders in and outside Europe as Joe Maessen, Sebastian Husseini, Kees Koolen, Mohamed Abu Issa and Jan Hoogendoorn resulted in the final version of the CRQF. 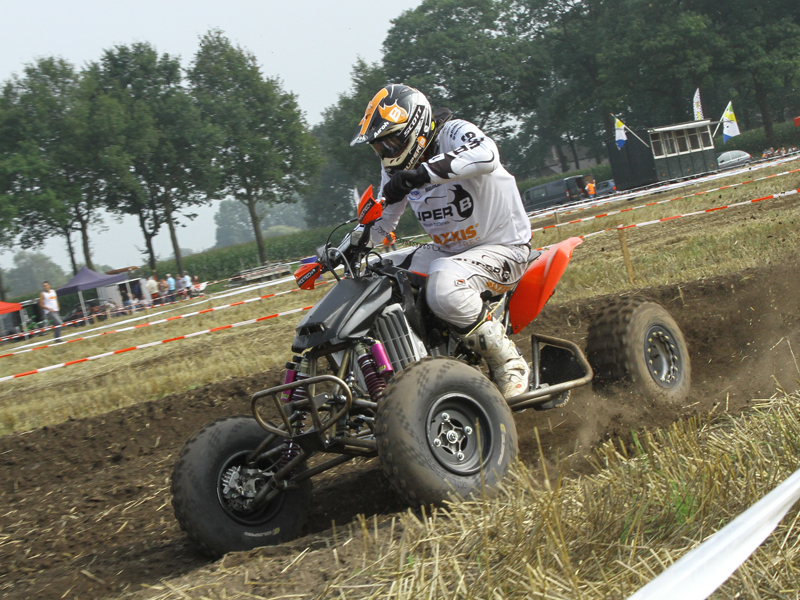 The maiden race of the CRQF was an overwhelming success; during the last race for the Open Dutch Championship the CRQF was the fastest Quad/ATV on the track. Joe Maessen won the final heat from start to finish, proving the speed and balance of the CRQF.